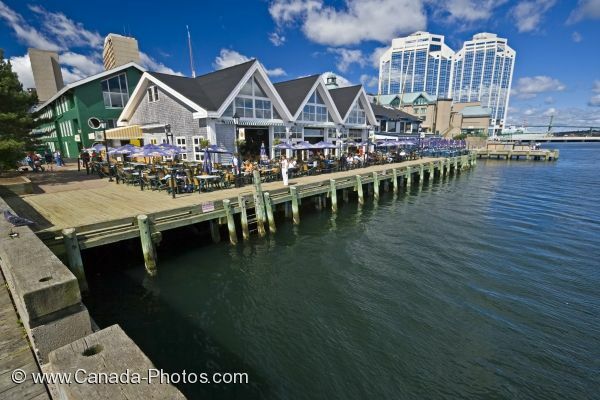 On the wooden waterfront wharves, there are a variety of restaurants where you can enjoy a good meal and the beautiful scenery of the Halifax harbour in Nova Scotia. On warm days, many people sit outside to eat while listening to the ripples of the water as tall buildings surround them. Picture of the outdoor decks surrounding the restaurants along the waterfront of the Halifax harbour in Nova Scotia.